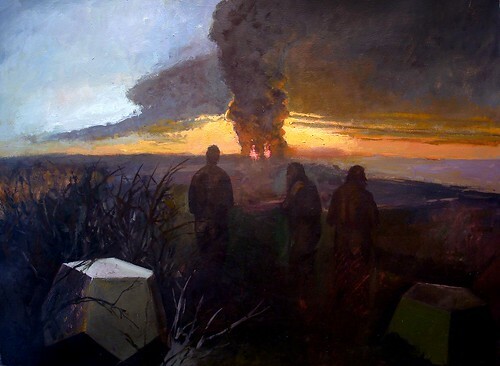 Back in 2006 I created a series of paintings responding to the wars in which we were – and are – involved. One is linked below. Click here to see the series of works, and here to read my statement about them in PDF form. More on my annual Memorial Day thoughts are here at this post: Remembering the Fallacy. This entry was tagged honor, matt ballou, memorial day, painting, peace, the omen, war, wars and rumors of war. Bookmark the permalink.